When I see Rachel Bilson, only thing that comes to mind "Aaaaaw, how cute" She is automatically archived in the "cutie" category as opposed to Kate Bosworth, who is looking pretty mean in this studded skirt. No matter how nasty some of you assholes think that look, it's straight up pimp. Rachel chose a key-hole tweed jacket, hard, tight socks, and a full-length puffer. Meanwhile, Kate chose a brighter palette: an edgy cropped trench coat with a gold studded pencil skirt and padded socks. 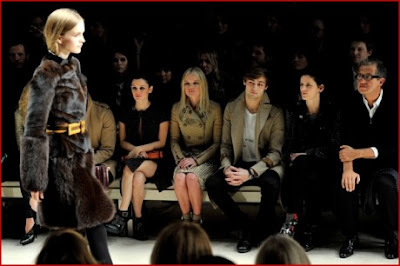 Now is the time to weigh in on the looks - to win the battle for Burberry.